Throughout the years, we have all had more clients than we can count who struggle with paralyzing procrastination…avoiding an email, putting off a phone call, or delaying a decision. For some people, they need to feel that adrenaline rush of potentially disappointing a client in order to finally complete a project, or experience the severe consequences of a poor performance review before they finally take action. Yes, this type of fear-based motivation can be effective, but it’s incredibly stressful, and it doesn’t always bring out your best self or your best work. We are thrilled to highlight a Women ON Point alumni who did not procrastinate. She took what she learned, she took action, and she took her career to the Next Level! Congratulations to Nancy on her new position! 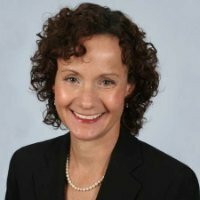 Nancy was previously the Vice President of Marketing at United Health Care, and is now the Head of Enterprise Marketing at Happify. Here are 7 Strategies to Stop Paralyzing Procrastination that are a lot more positive, easy to implement, and can de-stress your life both personally and professionally. As women, we are genetically hard-wired to multi-task. But this is a fatal flaw when it comes to procrastination, because there are always a million other tasks on the to-do list that demand our attention. The truth is that multi-tasking doesn’t really work. Focus all your attention on getting one thing done at a time, and crossing that one thing off the list before you tackle a new task. The old adage about the best way to eat an elephant is one bite at a time is absolutely true! Instead of getting overwhelmed by a large project, break it down into manageable sized action steps. Set mini-deadlines before the final deadline. If there is a task that routinely stresses you out and causes you to procrastinate, like doing spreadsheets or cold calling prospects, it could be time to delegate those responsibilities to an accountant or business development person. Most people procrastinate when they’re called to perform a task that’s considered one of their weaknesses. Remember, your weakness is someone else’s strength. A good buddy or BFF has a million proven benefits, but one of the best is in creating accountability. Find that person who can hold your feet to the fire, keep you motivated and on track, and remind you of why your goals are important. This person can be a friend, a mentor, or a coach…accountability is a powerful tool in beating procrastination. For some people, procrastination is the result of not understanding the bigger picture or the larger context and potential consequences. Simple tasks are easier to dismiss and put off until the last minute if you don’t know the “why”. For millions of women, procrastination is the result of a more serious affliction…perfectionism. It’s the endless overthinking, the constant tweaking, and the never-ending second-guessing that occurs when perfection is the goal. Do you re-read and agonize over every word in an email before you hit send? Perfection is a myth…it doesn’t exist. Let it go! Whether it’s a major weight loss, getting a big promotion, or sending a difficult email, you need to celebrate and reward yourself. Regardless of the size of the goal or magnitude of the milestone, there needs to a happy ending or reward on the horizon to help prevent, or minimize, procrastination. It’s unrealistic to think that you can completely eradicate procrastination from your life, but you can greatly reduce those moments when you struggle with paralyzing procrastination. Those moments should be few and far between, not a daily occurrence. It is always in your best interest to operate from a position of power, and not one of panic and procrastination. For example, don’t procrastinate on registering for either of the Women ON Point leadership summits in 2018. As always, space is extremely limited and both summits are already filling up fast. If you’re ready to invest in yourself and take your leadership skills to the Next Level, or know another woman who is, then don’t delay! Register today! Today more than ever we are bombarded with fake news, bad news, and negative news, and it infiltrates our lives 24/7. It’s on every channel and on every device. There is no escape. It screams the loudest and demands the most attention…until now. As we (Pam, Aimee, and Sara) prepare for our next Women ON Point leadership summit in Chicago on July 19-21, we are confident that we can drown out the mind-numbing negative news with not just one, but four success stories this month. It’s not a secret that those who invest in themselves are exponentially more successful than those who do not. Every successful tycoon from Warren Buffett to Bill Gates enthusiastically commits 10% of their annual income to personal and professional development. They invest in training, education, coaching, and mastermind groups to ensure they stay on top and continue to grow. We are beyond thrilled to announce that the same tycoon-type mentality is going gangbusters at Women ON Point. Women who have attended our leadership summits have experienced new dream jobs, promotions, raises, and are leveraging what they’ve learned in innovative ways to pay it forward. Congratulations to Ana on her recent promotion! 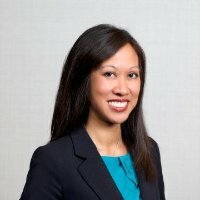 Ana was previously the Associate Director of Sales for Hyatt Regency Long Beach and Hyatt Centric the Pike, and will now take her place as the Global Sales Director on the Hyatt Sales Force Americas Team. There’s even more great news…Ana has also been appointed as one of the Executive Committee Leaders for the Women@Hyatt West Coast Chapter. Congratulations to Katie on her recent promotion! 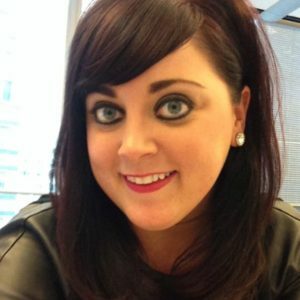 Katie was previously the Manager of Global Culture and Talent Management for Hyatt Hotels Corporation and is now the Manager of Global Operations Communications. Congratulations to Wren on her recent promotion! 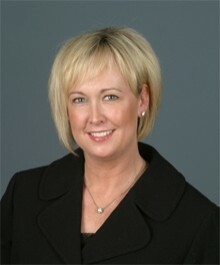 Wren was previously the Chief Operating Officer at RMC, and is now the Executive Vice President. Congratulations to Nicole on her commitment to “pay it forward”. 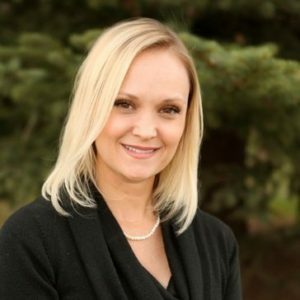 Nicole is the owner of Bunbury & Associates Realtors and was so inspired by what she learned at Women ON Point she kicked off the company-wide annual meeting with personalized “Brag Books” for all team members to capture their personal and professional successes. Nicole also invited Sara to deliver specific Women ON Point presentations including personal branding, mindset, and executive presence to her team. Professional Women’s Club of Chicago (PWCC) – We are big believers that no one achieves any level of success alone, and therefore we’d like to shine a special light on our Chicago power partner, PWCC. PWCC creates opportunities for Chicago-area professional women to make connections that inspire personal and professional growth, support business and personal goals, and enrich lives. The membership consists of successful female corporate executives, junior and senior professionals, business owners, entrepreneurs, self-employed professionals, artists, prominent individuals in their industries, businesses, and communities. In the spirit of “women supporting women”, we encourage you to reach out and congratulate your fellow Women ON Point alumni and keep those connections alive and well. It’s easy to get mired down by an endless to-do list, to get distracted by fake news, and to get overwhelmed by life events — but it’s also easy to choose to focus on the positive, to celebrate key accomplishments, and to cultivate those quality relationships in your life. And, we are here to help you do all of that and more! There are so many women who could benefit from the Women ON Point magic, but there are only a few spots left in Chicago. We are reaching out to you, our valued alumni, to help us identify those individual women in need of this transformational professional development experience. We want to positively impact more lives, make an even greater difference, and catapult more women to the Next Level! 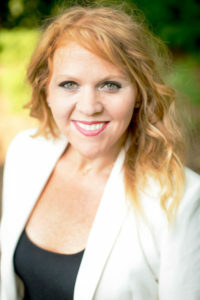 https://www.womenonpointleadership.com/wp-content/uploads/2017/06/Not-Fake-News…Fantastic-News.png 628 1200 laura bean https://www.womenonpointleadership.com/wp-content/uploads/2018/02/Women-On-Point-LOGO-Web-Header-01-1.png laura bean2017-06-26 17:09:272017-06-26 17:09:27Not Fake News…Fantastic News! It’s official…springtime is here! Flowers are blooming, holidays are happening, and this season is all about rebirth and renewal. It’s the time when people not only clean out their homes, but should also clean out their careers and dust off their leadership skills. As we approach Valentine’s Day, it would be impossible if didn’t have love on the brain. As humans, we are extremely fortunate to have a huge capacity to love…we love family, friends, sports teams, charitable causes, and, if we’re lucky, even our jobs.